Putting the ‘Boom’ into bellydance! Boomshanka Tribal Bellydancers dance our own unique style that we like to call ‘British Urban Tribal Fusion’ bellydance*; a mix-up that draws on the influences from Zehara and the Urban Gypsies and the varied experience of our members in traditional Egyptian bellydance, Tribal Fusion, street dance, African dance and other world styles. Add in a little bit of alternative culture, along with colour, energy and innovation. It is also a *lot* about having fun, we love what we do and that is what gives us ‘Boom’! We are a performance troupe with experience of all kinds of events – weddings, birthdays, charity shows, community festivals, music festivals, dance festivals, beer festivals, variety shows, club nights, theatrical productions. Our regular community shows in Sheffield include Heeley Festival, Stannington Carnival, Nether Edge Farmer’s Market and Chance to Dance but we can seen at all sorts of places. Let us know what sort of event you would like us to perform at, the location, date and time and how long a performance you require and we will contact you to discuss expenses and details such as the venue/performance space and sound system. Why do we call ourselves ‘Tribal’? For years women have danced together and for each other and they still do! 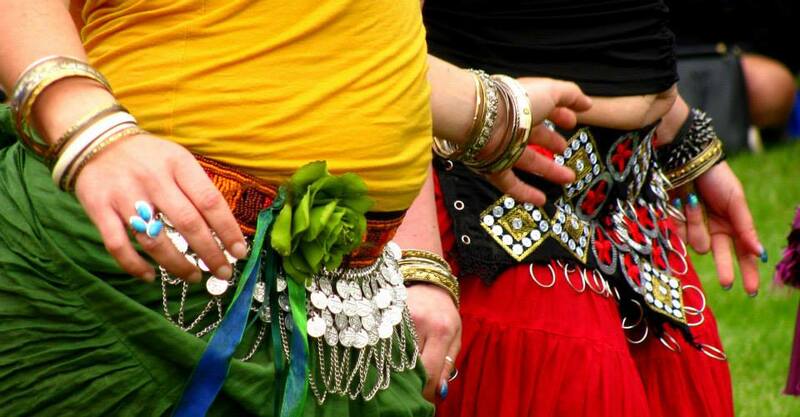 Over time, Bellydance has travelled across the globe picking up influences and developing along the way. The first ‘Tribal’ style – American Tribal Style (ATS) or Improvised Tribal Style (ITS) – originated from the United States. ATS/ITS bellydance is a particular form of the dance based on group improvisation and looking to natural materials for costuming and adornment. This is different from the glitzy, solo ‘Cabaret’ style we usually associate with bellydance. In many ways it goes back to the roots of the dance – that is dancing together and feeling part of a group or community. ‘Tribal Fusion’ style bellydance takes some of the moves and feel of ATS/ITS and mixes in influences from many other types of dance. It is also often danced solo or choreographed. That’s a bit more ‘us’, we like to mix things up! Boomshanka are a community, a group of good friends. Our dancing is choreographed rather than improvised but it is about dancing together, as a group, or tribe. We generate our energy from each other and support each other. Hi there, you would be very welcome to come along, the class is open to all levels of experience, including beginners and it is very friendly. I think you may have tried to contact me by phone this week? I have left you a message in reply but do try me again if you need more info or directions for finding the hall. It is usually easiest to catch me in the evenings, after 5pm. Great first class.. Really enjoyed it! Looking forward to next week. Thanks!